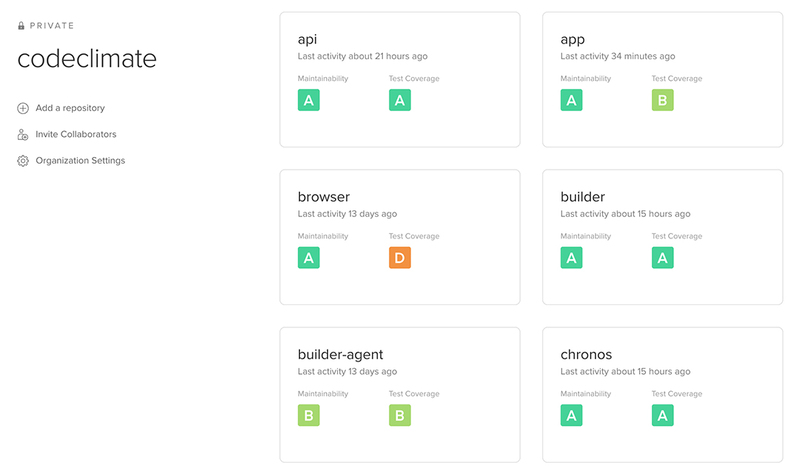 Code Climate empowers organizations to take control of their code quality by incorporating fully configurable test coverage and maintainability data throughout the development workflow. See coverage line by line within diffs. 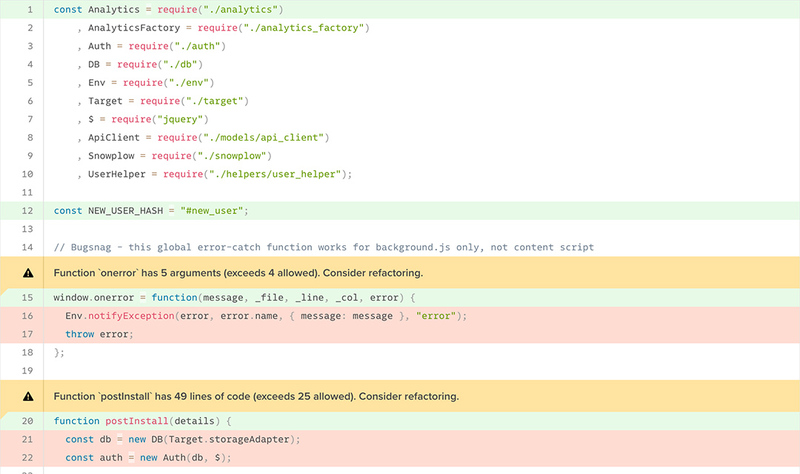 Never merge code without sufficient tests again. 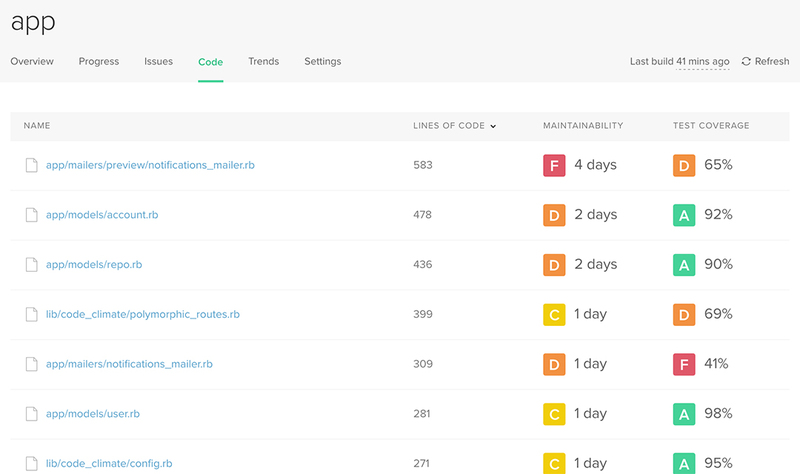 At a glance, identify frequently changed files that have inadequate coverage and maintainability issues. Track your progress against measurable goals, day-by-day. Objective reports to get everyone on the same page and focus conversations on what matters.